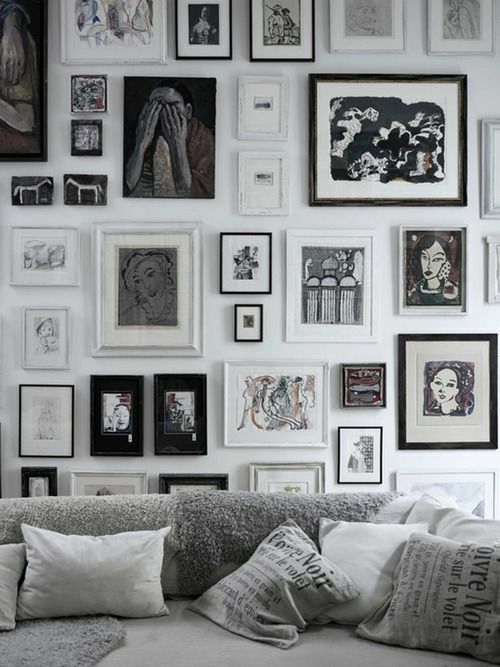 Who says your black and white collection needs to be in black or white frames? Paint them a vivid color for big impact, quite the statement! Want to minimize your TV? 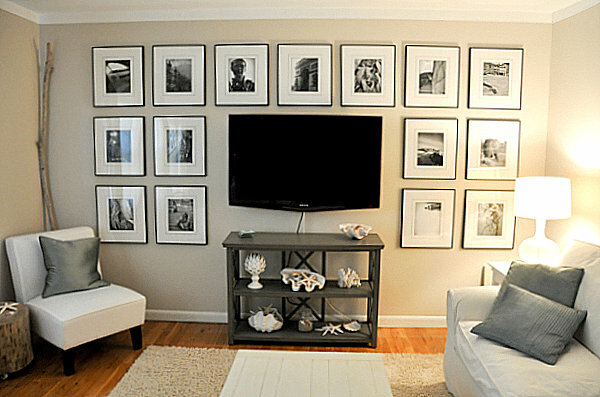 I love the way Emily has combined both black and white photography and art in a clever gallery wall arrangement to detract from the flat screen – a smart design solution if your television is out in the open. An entry is the perfect place for a smaller arrangement over a console table. How do you display your collection once it’s assembled? 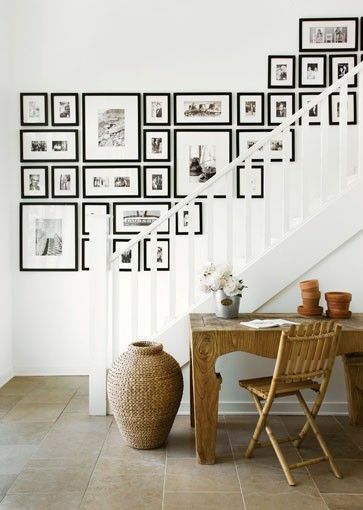 I’ve always loved this simple trick from Better Homes & Gardens – simply cut any paper (newspaper works great too) to the size of your framed photography and position the paper on the wall with painter’s tape until you’re satisfied with the arrangement. 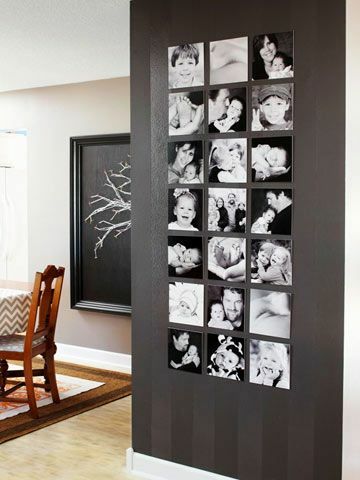 If you’re ever at a loss with how to decorate a blank wall in a living or family room, take a cue from this sophisticated space filled with enlarged black and white photography arranged in a tight grid. 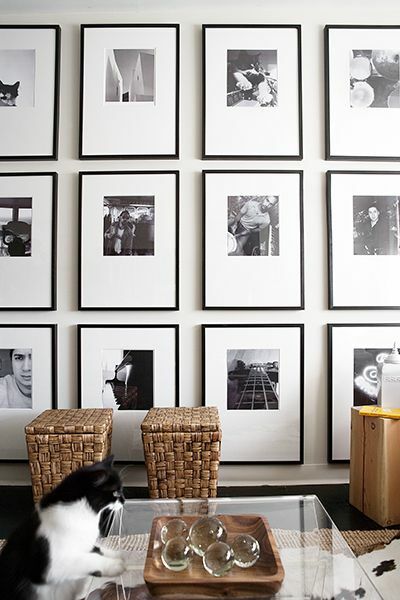 In a hallway, Martha has an interesting take on near reflective symmetry – here the photographs share black frames in different sizes. Despite their variation in size, the balance is achieved by the continual rotation from large to small in reverse and the fact the frames are positioned off of one straight center line. Another idea is to install a floating ledge in a dining room for layering different sized frames. Angle them so they sit up against the wall or hang a few for variety. 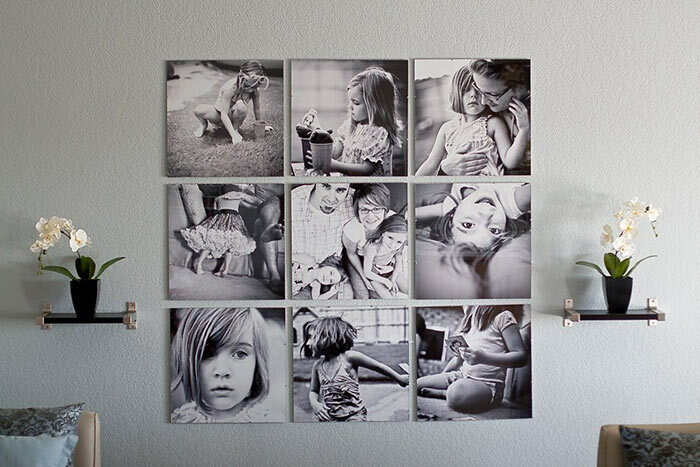 To get started with your own gallery of photographs, Ann Beck Photography has plenty of suggestions for combinations of frames to inspire you. And don’t forget this tip when you get to the hanging part – again it’s painter’s tape to the rescue for perfectly positioning nail holes. 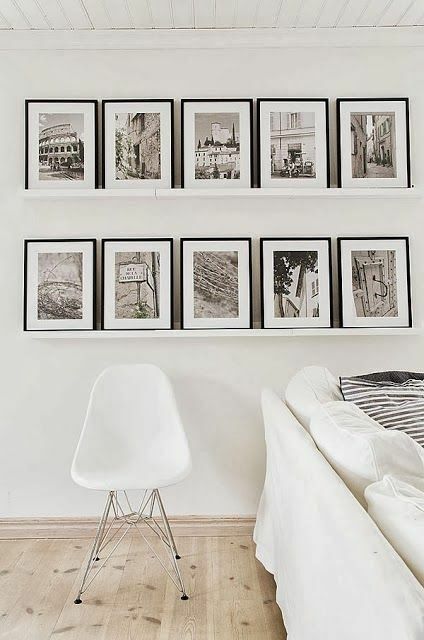 Symmetry is the easiest look to pull off, just gather up the same size frames in a grid – bonus points for large off-center mats, and then hang your favorites in a series. The bigger frames and mats are an investment but worth it, the look is timeless. 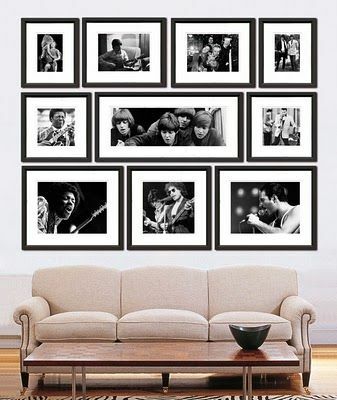 For her hallway, I suggested four extra large black frames and white mats with their darling faces enlarged and all four hung in a grid; or a simple hallway collage like this one I created for another friend years ago. 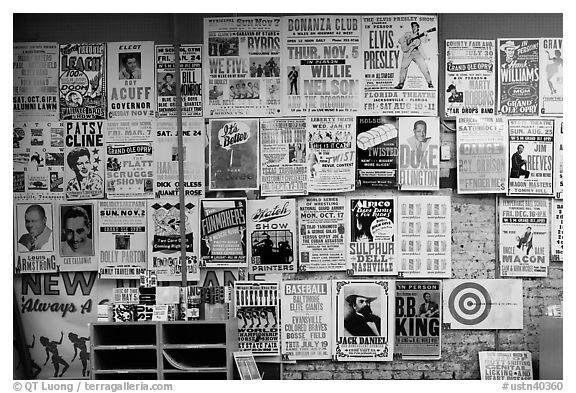 **some images from Pins without link to original source, so if you know the source of these images, please share. The best part about a gallery like this is you can change out the photos as you please since photography enlargements are so affordable. Showcase your favorite vacation, your wedding, silly faces, your family members, whatever is meaningful. I met a friend at her house a few weeks ago, she has four cute kids and an empty hallway, and she was asking what to do with the “blankness” of it all. 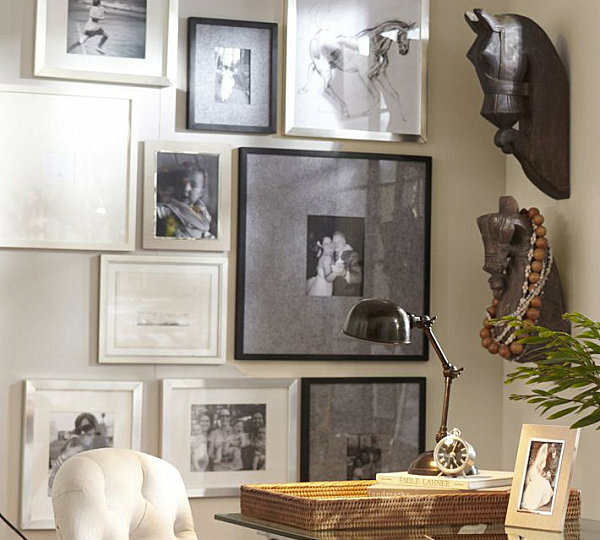 I’m a big believer in “bigger is better, make a statement!” when it comes to displaying photographs, and you cannot go wrong with black and white – they are undeniably classic and oh so sophisticated when gathered in a group on display. 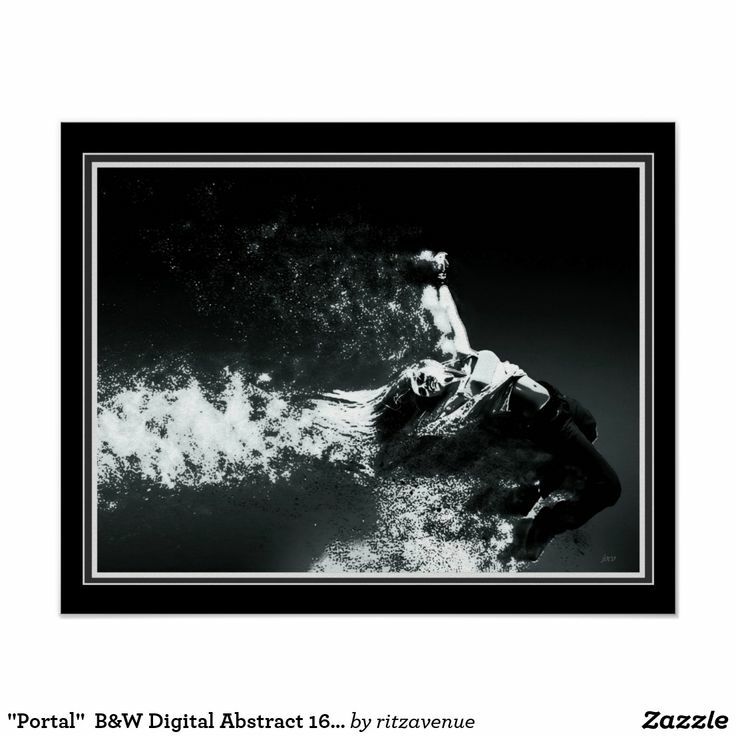 There are so many places and so many opportunities to place your life on display in the form of black and white images or artwork. 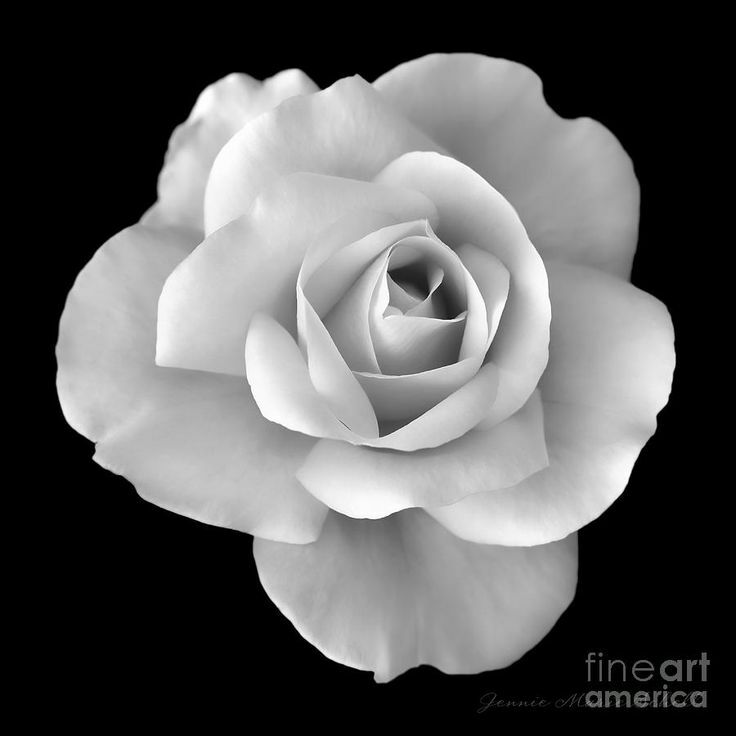 How have you incorporated black and white photography into your home? This image has been seen by many, but it’s still one of my favorites. It took some thought to achieve the look, but I love how this display keeps your eye moving around and yet it is still so well balanced. 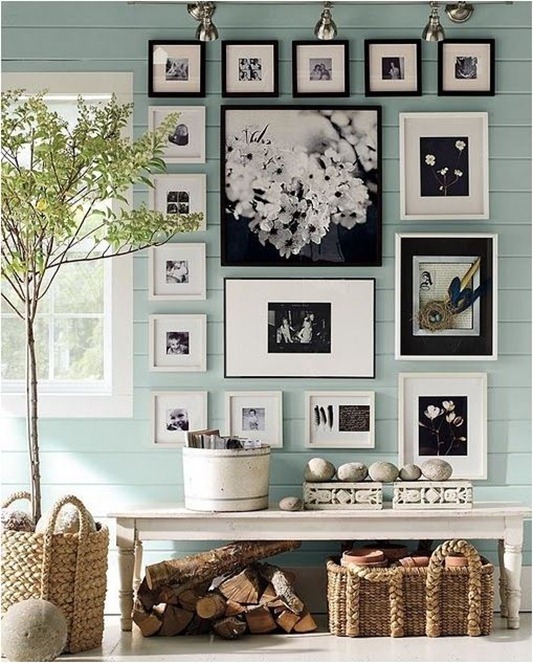 Notice the mix of black and white frames in different sizes and that one black mat thrown into the mix, all of it hung on a blue painted plank wall – lovely. Here’s an asymmetrical variation on the same concept but over a sofa – notice the singular thick white line that separates the top and bottom frames. 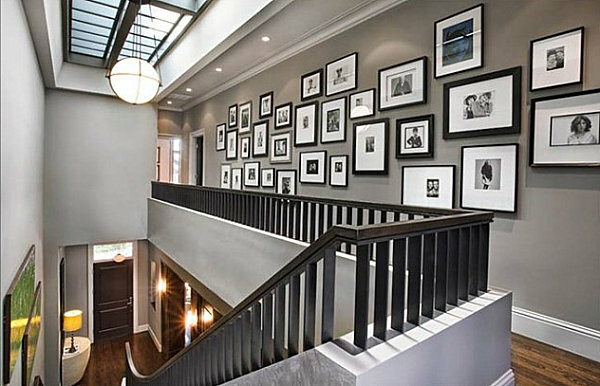 But it got me thinking…beyond the hallway, there are multiple ways to display black and white photographs, it just depends on the space and whether you prefer a more eclectic and asymmetric display, or if you favor a symmetric or streamlined look. Dining rooms are always in need of a conversation starter, so make it your photography on a ledge filled with nostalgic moments you’ve captured and framed.